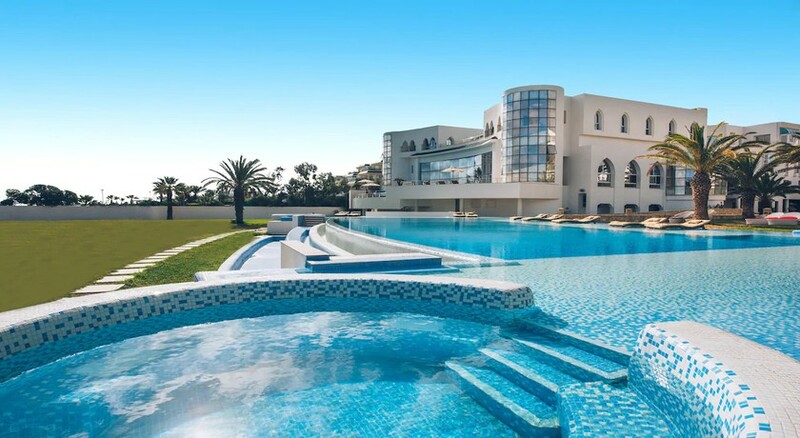 Iberostar Kantaoui Bay is an ideal spot for a peaceful beach vacation in the sun in Tunisia, while being not far from the bustling Tunisian resort of Port El Kantaoui. It’s perfect for family holidays, since you can play volleyball on the beach, unwind in the spa, drive down to the golf course nearby or splash in the heated indoor pool, while the kids have an exclusive paddle area in the outdoor pool, dotted with sun-loungers. If you’re looking for more relaxation, pamper yourself at the spa where the hotel’s thalassotherapy team will be at your service. Its 269 spacious guestrooms come with gorgeous views of the sea. In the evenings, you can look forward to evening entertainment and animation shows. 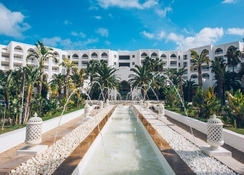 The beachfront hotel also hosts a clutch of bars, such as a beach bar, pool bar and lobby bar, besides several restaurants serving Italian, international and authentic Tunisian cuisine. The hotel is located in Port el Kantaoui and is about 40 kilometres from the airport. It is a convenient 200 metres from the bus stop, which makes it easily accessible from the resort centre. The train station at Sousse is at a distance of 15 km. It is also barely a kilometre from the lively harbour area, where you’ll find several shops and restaurants. There are ample opportunities for watersports, horse-riding and other activities onsite and near the hotel. The hotel offers 269 spacious guestrooms, equipped with balconies, satellite television, mini bars, tea and coffee set-up, direct dial phone and room safe, with several of them overlooking the sea and the other looking out to lush gardens. The rooms are categorised into Standard Room with Garden View, Standard Room with Sea View, Family Room, Junior Suite and Ambassador Suite. 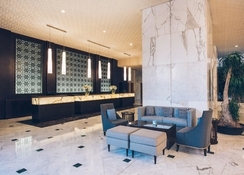 Guests can choose from 5 multi-cuisine restaurants and 3 bars, so you can sip cocktails by the pool or dine leisurely on a gourmet spread with your partner or family. 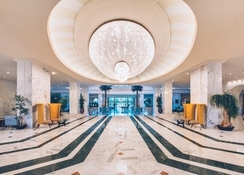 Pick from the lobby bar, bar salon and pool bar, besides restaurants where you can enjoy sumptuous Italian, Tunisian and international cuisine. You can enjoy breakfast, lunch and dinner at the main buffet restaurant El Fell that also features a terrace offering amazing sea views, look forward to Asian cuisine at Prime Restaurant & Bar, savour Tunisian delights at El Rayhan, or dine on the beach at their splendid Beach Restaurant, which offers show cooking and late breakfast. Take a swim in the large outdoor swimming pool, which has a separate paddle area for kids, or lounge on the sun-beds under beach umbrellas as you look out at the beautifully landscaped surroundings. The hotel also has a heated indoor pool. Challenge the family to a game of darts, water polo and water aerobics and archery. To unwind and pamper those aching muscles, check into the in-house spa or work on your fitness levels at the gym. You can also book a conference room for emergency meetings and let your hair down at the nightclub. The hotel also organises animation shows for guests in the evenings, besides hosting karaoke evenings and an exclusive kids’ club.